Home sweet home! Carefully crafted oasis. After a hard days work relax in this perfectly located gem, nestled in the quiet, but close to everything, neighborhood of Windcombe. From its open floor plan to the renovated baths and kitchen, with breakfast area, you will be delight in the owner's care for detail. The updated baths and kitchen are on point for today's trends and functionality. Entertaining will be a breeze in the home's large screened back porch conveniently located off of the kitchen. It's hard to believe you are so close to Nora and just a quick shot to the interstate when your large back yard is so tranquil. 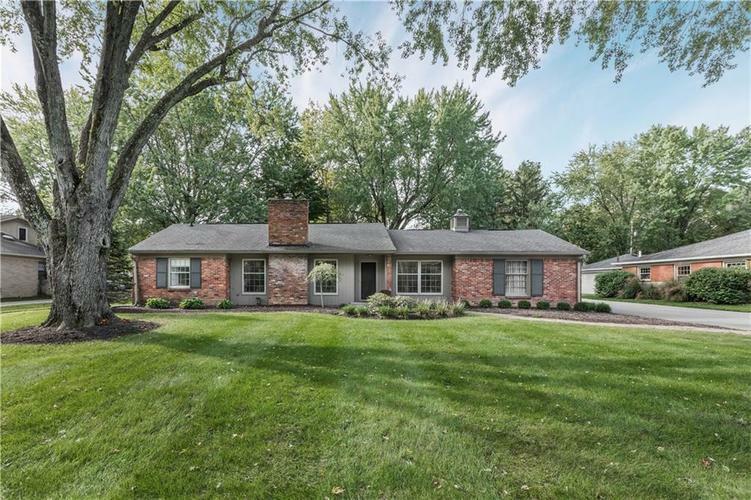 This well maintained, updated, home in the Washington Township School District is a must see!